Though not as well known in the United States as she is in Sweden where she was created in 1944, Pippi Longstocking has still earned her share of American fans. Most America youngsters discovered the charm and wonder of Pippi Longstocking when Columbia Pictures released The New Adventures of Pippi Longstocking in 1988. (Curiously, in the movie Pippi has the same adventures she had in her original book, but they are “new” somehow.) This was an American-made film, but the fantastic tale captured the fancy of many American kids of the 80’s and 90’s. It also brought a greater awareness of Pippi to America. The birth of Pippi Longstocking began in the mind of Astrid Lindgren, mainly as a distraction when her daughter was ill for a lengthy period of during in her first year of school. However, it was her daughter Karin who created the name out of thin air, in a desperate attempt to have her mom stay by her bedside a little longer to tell her an imaginative tale. Not surprisingly, Pippi was 9 years old, the same age as Karin. Pippi is an astonishing young red-haired freckle-faced girl, endowed with incredible strength. She can casually pick up a horse while children are sitting on its back! Yet she does not bully or abuse her astounding powers. But Pippi is more than just the strongest girl in the world. She is also adventurous, unconventional, and simply a lot of fun to be around. Pippi lives in a house (which she has named Villa Villekulle) with her monkey, Mr. Nilsson, and her horse who remains nameless. Because she was born and raised at sea, she is also self-sufficient and confident. She does not need human adults to help her get by at home. The fact that Pippi lacks proper manners exasperates many adults, but they also know that she is quite well-meaning and very protective. Pippi’s two closest friends are her neighbors, Tommy and Annika Settergren. The three of them are the ones typically involved in Pippi’s unusual adventures. The first title in the three-book series is simply Pippi Longstocking. You are introduced to Pippi and join her on various adventures. Some of the chapters hint at the fabulous tales you will read, such as “Pippi Is a Thing-Finder and Gets into a Fight” and “Pippi Entertains Two Burglars.” There are also illustrations with descriptions like “She took the policeman by their belts and carried them down the garden path” and “She tied two scrubbing brushes to her feet,” both of which rouse curiosity at the least! The second book is titled Pippi Goes on Board. Without revealing any spoilers, you will be sure to be entertained with chapters titled “Pippi Writes a Letter and Goes to School – But Only a Little Bit” and “Pippi is Shipwrecked.” While this story begins at her home in Villa Villekulla, Pippi ends up sailing off on an exciting adventure. The final installment, Pippi in the South Sea, once more begins in Sweden (but we are not spoiling anything by suggesting that Pippi finds herself in the South Seas). With “Pippi Finds a Spink” and “Pippi Talks Sense to a Shark” as two sample chapter titles, you can tell that you will be in for another story of outrageous and fun adventure. About 20 years after this series was completed, there was a resurgence of Pippi Longstocking titles that were each oddly only an illustrated chapter culled from one of the previous three books of two decades ago. This mini-series was geared for a preschool age, considering its brevity. It also points out that the three original books could be considered a loose short story collection about this curious character and her vicarious escapades. As is standard when a book reaches a certain level of popularity, it must be converted to film. Another popular medium is theater, particularly with children’s stories. Of all of Lindgren’s characters, it is Pippi that has appeared more often on film and stage, in many different countries. In 1949, four years after the publication of the first Pippi Longstocking book, a Swedish feature-length film titled Pippi Longstocking hit the screens. It was a conglomeration of the three Pippi Longstocking books. In 1970, Pippi in the South Sea was made by Swedish director Olle Hellbom, a longtime friend and regular film collaborator of Lindgren. It wasn’t until 1988 that an American version of the Pippi story hit the screen. The New Adventures of Pippi Longstocking achieved moderate success and recognition, enough to boost the awareness of Pippi Longstocking to American children. Sweden also hosted a brief television series about Pippi Longstocking in 1968. In America in 1961, a loose adaptation of Pippi Longstocking was presented on the Shirley Temple’s Storybook television show, a series offering a different children’s story on each episode. As unusual and bold as Pippi is, she often reflects the attitude, nature, and character of her true-life author, Astrid Lindgren. For a young woman born on a farm near a small community, Astrid had a big vision and pursued her dreams with little hesitation. She was a young woman with an audacious attitude and a strong sense of self-worth, quite like the character she created many years later. 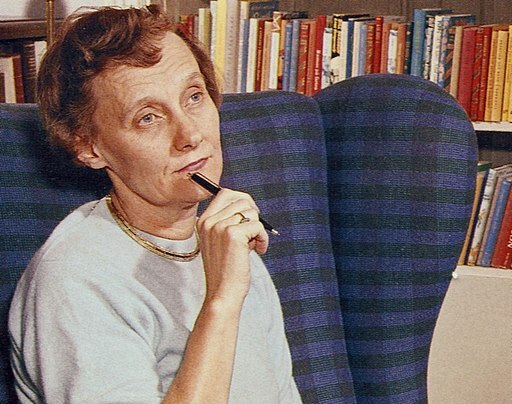 While the name Astrid Lindgren will always remain connected to the image of a strong red-haired freckle-faced girl named Pippi, she was the author of many other children’s books that have remained popular in Sweden and are read the world over. The Pippi Longstocking books alone have been translated into 70 different languages as of 2015. While other European countries have boosted Pippi’s popularity, both Japan and the United States also show up as two of the top ten nations buying the most books (besides Sweden, which buys the most). Astrid Ericsson was born in 1907 and grew up near Vimmerby in southern Sweden. Early on in her schooling, she showed an aptitude for and interest in writing. By the age of 16, she was contributing pieces to the Vimmerby Times, albeit voluntarily. Two years later, at 18, she decided to spread her wings and head to Stockholm. She was pregnant but knew the father was not marriage material, so she forged out on her own. When her baby, Lars, was born in Copenhagen, she initially left him with a foster family. She returned to Stockholm and focused on her career, but regularly visited Lars until she finally was able to bring him home and raise him. During this time, she remained busy gaining skills to become a shorthand-typist, which proved to be of great value over her working life. In 1928, she met her future husband at the company where she worked as a secretary. While Stockholm was where Astrid Lindgren spent the rest of her life and raised her children Lars, Lasse, and Karin, the family loved to spend their summers in Furusund. This area remained one of Astrid’s treasured and inspirational locations throughout her life. It was during World War II that Lindgren began spinning her tale of Pippi to her daughter Karin, and the first Pippi book was published in 1945. Three full-length children’s books about Pippi were published between 1945 and 1948: Pippi Longstocking, Pippi Goes on Board, and Pippi in the South Seas, respectively. The popularity of the Pippi Longstocking series boosted Lindgren’s career greatly. In addition to her writing skills, she was an adept editor. A year after the success of her first book, in 1946, she was hired on as the children’s book editor by the company that published her work, Rabén & Sjögren. She did so well as an editor that her responsibilities were soon expanded; she finds herself also overseeing publication of the children’s book division. On top of this fulltime work, Lindgren never stopped pursuing her love, writing children’s books. Even after putting in full and long weeks as editor and publisher, one would find Astrid late at night, concocting another tale of wonder and awe for young readers. Other popular works by Lindgren include Mio, My Son, The Brothers Lionheart, Karlsson-on-the-Roof (a series), Ronia the Robber’s Daughter, and The Six Bullerby Children. Many of her books have ended up on both stage and screen, with Pippi, of course, being the most popular character portrayed in plays and films. Lindgren also maintained a diary of life in Sweden during those war years. For a fascinating (and at times chilling) insight into this dark chapter in Europe’s past during the last century, her posthumous publication War Diaries, 1939–1945 is highly recommended. During this fruitful time in her career, she also had to face a challenging and major life event. Her loving husband, Sture, took ill and two years later, in 1952, he died at the age of 53. Through the period of this loss, Lindgren continued to work for Rabén & Sjögren. She remained an important and respected executive of the firm until her retirement at the age of 70. This transition in no manner meant that Astrid Lindgren was planning to fade into the background. After her retirement, she remained actively involved in issues she deemed important. In the 1980’s, she took a stand against nuclear energy and was a vociferous defendant of animal rights. Her efforts contributed significantly to a new Swedish animal protection law that was put into place. However, by the time it came to final legislation, many essential safeguards were removed to make it less effective than its original intent. It should not come as any surprise that as of a writer of children’s books, Astrid Lindgren was also a vigorous advocate of children’s rights and protections. In 1978, she was prepared to refuse the prestigious German Book Traders’ Peace Prize until they agreed to allow her to give her speech entitled “Never violence!” The topic directly addressed the wrongs of direct violence, corporal punishment, and other forms of oppression against children. In Germany, where the award was to be presented, her presentation was considered too provocative. Lindgren was determined that she speak her concerns and refused acceptance until they relented, which they did. Whether coincidentally or not, in the following year Sweden put legislation in place making corporal punishment of children illegal. One of the final honors she received was to be named International Swede of the Year in 1997, at the young age of 90! This award is given by Swedes Worldwide, an organization representing more than half a million expatriate Swedes living abroad. It is to acknowledge substantial work that notable Swedes have contributed in important areas such as culture, sports, business, science, and the humanities. In 2002, at the age 94, she died in her Stockholm home after suffering a stroke. Fittingly, her funeral was held on March 8th, which happened to be International Women’s Day, at the Great Church in the Old Town section of Stockholm. In attendance were dignitaries including King Carl XVI Gustaf with Queen Silvia, Prime Minister Göran Persson, and other royal personages, in addition to the thronging crowds flowing behind the funeral cortege.